Welcome to your new home in Paradise! 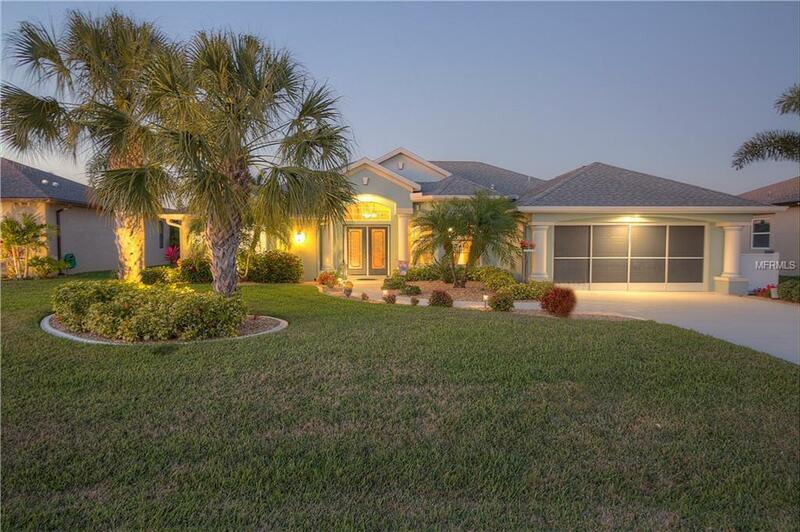 If you are seeking the true Florida lifestyle you will find it in this exquisite home. From the moment you park your car you will be in a tropical oasis, surrounded by a pristine, manicured lawn and lush tropical foliage. 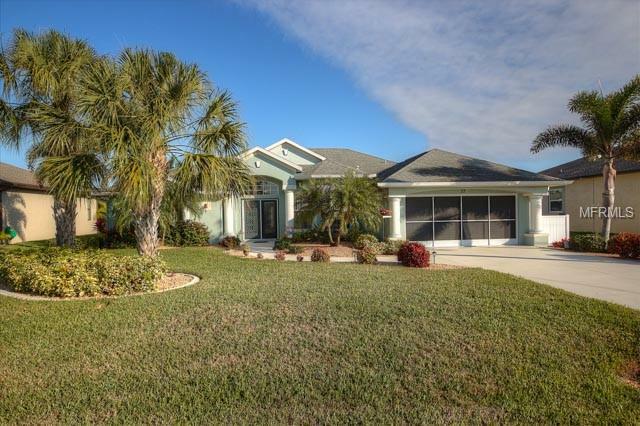 Enter the wide double door foyer and relax in the formal living area with is elegant wainscoting overlooking the beautiful solar heated pool area and canal with pocketing sliders opening to the lanai. The regal formal dining room with its cypress ceiling and vinyl plank flooring is separated from the living area with an archway and columns. The kitchen is fit for a chef with granite counter tops, stainless appliances, and custom cabinetry. The kitchen also has expansive seating at the counter, and a nook for small family meals overlooking the pool. The great room is made for entertaining family and friends, and features built in shelving and new vinyl plank flooring. The master bath has glass block window, dual sinks, separate tub and custom tiled walk-in shower. There is an irrigation system which feeds from the canal. 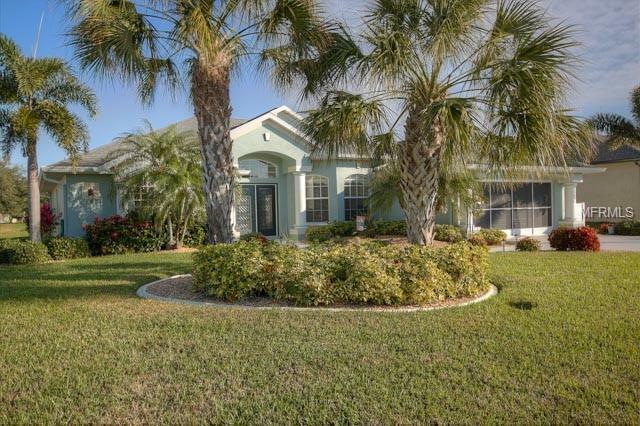 Upgrades galore including a security system, hurricane shutters and sliding garage door screen, and Maniblock plumbing system. 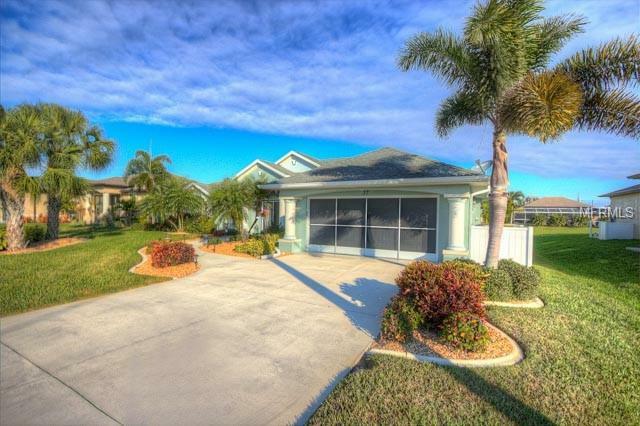 This tropical oasis is only moments from beautiful beaches, golf, fishing, tennis, a playground and more! Way too many features and upgrades to list! Please ask for the separate upgrade list. THE FOLLOWING ITEMS DO NOT CONVEY: Water Treatment system, Pool Heater, Pelican Mailbox.